The live broadcast of the match peaked at 2.5 million viewers. 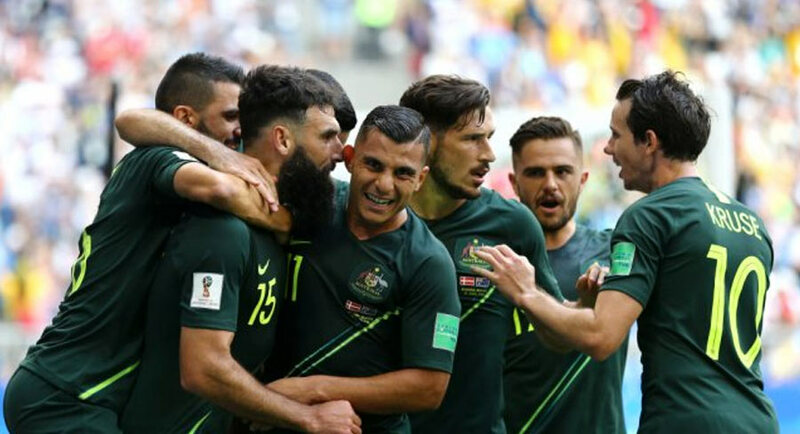 SBS’s live coverage of the Socceroos’ 1-1 draw with Denmark at the 2018 FIFA World Cup was the most-watched program in Australia on the evening of June 26. The broadcaster today announced that the match has become the 13th highest ranked FTA program nationally in 2018 year to date. On Thursday night, 3.2 million (metro + regional reach) Australians tuned in to SBS to watch the tight contest in Samara that saw Mile Jedinak‘s second penalty of the tournament bring Socceroos level with the Danes, whose goal came from Christian Eriksen‘s strike in the seventh minute of the match. The live broadcast of the match averaged 2.1 million (1.655 million Metro + 409,000 Reg, Total People), peaking at 2.5 million (metro + regional), minutes after Jedinak’s penalty levelled scores and just before Craig Foster’s half-time analysis. According to SBS, its coverage of Russia 2018, which includes 14 live matches, seven match replays, pre- and post-match analysis and daily highlights program, has reached 6.8 million Australians (metro + regional) to date.